Rice: Water, Rice, Seasoned Vinegar (Rice Vinegar, Sugar, Salt, Water, Brown Sugar), Soybean Oil, Sodium Lactate, Monoglyceride. 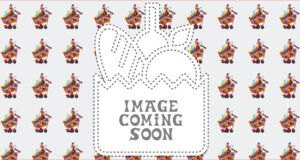 Filling: Imitation Crab (Alaskan Pollock, Water, Wheat Starch, Sugar, Potato Starch, Egg Whites, Contains 2% Less of: Mirin Wine [Sake, Sugar, Salt, Yeast Extract], Salt, Soybean Oil, Natural King Crab Flavors, Modified Food Starch, Citric Acid, Paprika Oleoresin, Lycopene, Soy Lecithin, Color Added), Mayonnaise (Canola Oil, Whole Eggs, Apple Cider Vinegar, Water, Egg Yolks, Salt, White Mustard [Grain Vinegar, Water, Yellow Mustard Seed, Salt Spices] and Lemon Juice Concentrate), Sesame Oil, Sesame Seeds, Chili Sauce (Red Chili, Sugar, Salt, Garlic, Fish Extract [Anchovy], Acetic Acid, Ascorbic Acid). Dried Nori. Organic Soy Sauce: Water, Organic Soybeans, Organic Wheat, Salt and Organic Alcohol to Preserve Freshness). Pickled Ginger: Ginger, Water, Salt, Sugar, Acetic Acid, Citric Acid, Malic Acid. Wasabi: Water, Wasabi Powder, Soybean Oil, Citric Acid, Mustard Oil, Spirulina. Contains Soy, Wheat, Egg, Fish (Pollock, Anchovies), and Crab. We’re huge fans of sushi. It makes for a great lunch, dinner, snack or appetizer. And it’s the perfect take-out to eat on the go – great for road trips, picnics, eating on the subway, or sneaking into movie theaters (for shame!). Problem is, as easy as it seems to make sushi, there’s a plenty of room for error, and a lot of factors for goodness: fish freshness, rice doneness and seasoning, and rice-to-filling ratio to name a few. Point is, buying sushi can be a minefield – especially when it is pre-packaged. 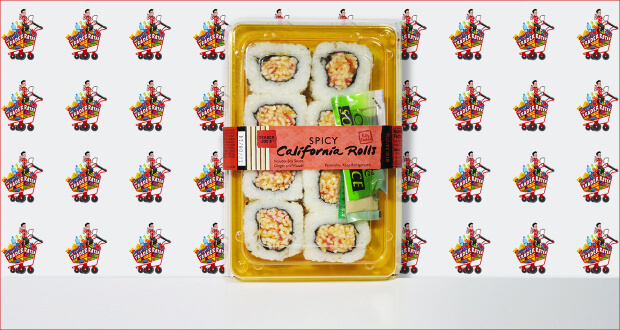 That said, we are happy to report that we were pleasantly surprised with these Trader Joe’s Spicy California Rolls. Of course, we weren’t necessarily expecting gourmet sushi, but it was better than we anticipated for sure. Though it was a bit light on “spicy”, the filling was well-flavored and well-portioned. You could tell the rice was properly prepared with rice vinegar, and the 2 kinds of sesame seeds sprinkled on the outside added a nice pop of flavor. Sure, the rice was a tiny bit gummy, but you have to expect that from anything but fresh rolled sushi. Worth noting, even the included packets of pickled ginger and organic wasabi were better than we’ve had some legit sushi restaurants. All told, we’re quite pleased with this TJ product and we’ll definitely buy them again – next time we might even wait until we get home to polish them off! 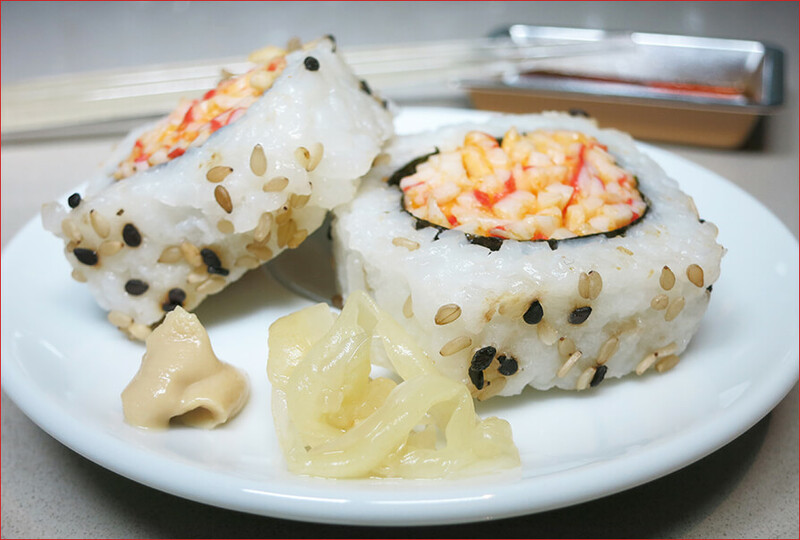 Summary : With a tasty and well-portioned filling and flavorful rice, these Trader Joe's Spicy California Rolls were a pleasant surprise.